It's that time of the year when the weather changes, and every one around you seems to be sneezing, coughing or worse! The best way to stay healthy during the colder months is to keep hydrated, and boosting your immune system. Here are some delicious recipes you can make at home that can help prevent and ease any cold/flu like symptoms. Glancing at the ingredients it's easy to question what this soup might taste like, but, this simple, subtle garlic concoction is great to cure colds, as well as the more common hangover. *Bonus! If you read this blog regularly, you're aware of our deep rooted love for Smoothies, so I'm sure you're not surprised that we're coming at you with a smoothie recipe in this feature! This one is a dream though, one that is full of so much goodness you're body will love you for consuming it. This recipe is packed full of immune boosting ingredients that will help your body fight off any unwanted cold / flu viruses. This is great to make when you feel the first signs of a cold/cough/sore throat. It's also good to consume if you're feeling completely under the weather! This is amazing for your body. We suggest you consume this every day before your tea or coffee, and anytime throughout the day! 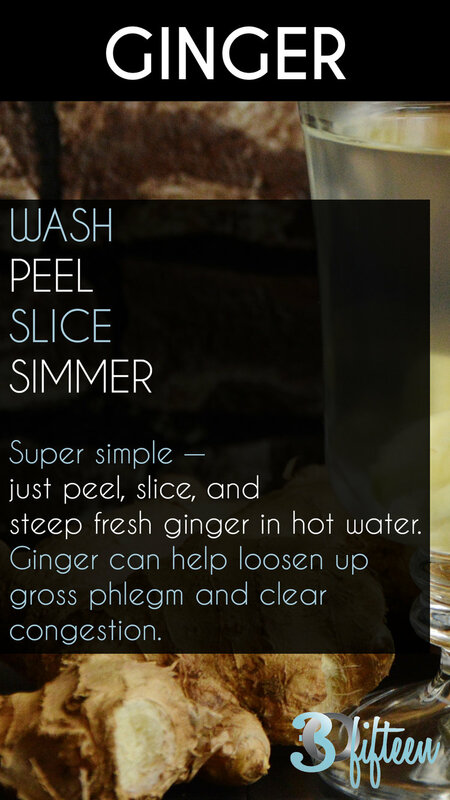 The simplest of all recipes, and can help loosen up any gross phlegm and clear congestion ! Thank goodness we hear you say! Do you have any go to homemade cold/flu fighting recipes you swear by? Share them with us in the comments below.